In addition to our own outreach events, Community Christian Fellowship Haverhill supports the efforts of Somebody Cares New England, a non-profit organization helping to meet the needs of the homeless, the youth and the elderly. By giving to Community Christian Fellowship Haverhill, you are supporting the work of Somebody Cares. The mission of SCNE is to increase effectiveness by aiding existing community organizations and faith based ministries with the purpose of alleviating hunger and homelessness as well as being an advocate for children, youth and the elderly. 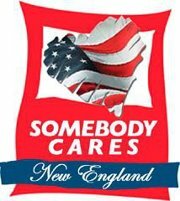 If you would like to get involved or just want to know more about Someboedy Cares New England, please click the link below.